Total Eclipses of the Sun by Mabel Loomis Todd. Boston, MA: Roberts Brothers, 1894. How do we change ourselves? Where do we find moments for reflection? What are the human actions which only natural phenomena inspire? While researching eclipses for their Open Sesame Salon, Jed Hancock-Brainerd and Rebecca Noon came across this image in Mabel Loomis Todd’s Total Eclipses of the Sun. 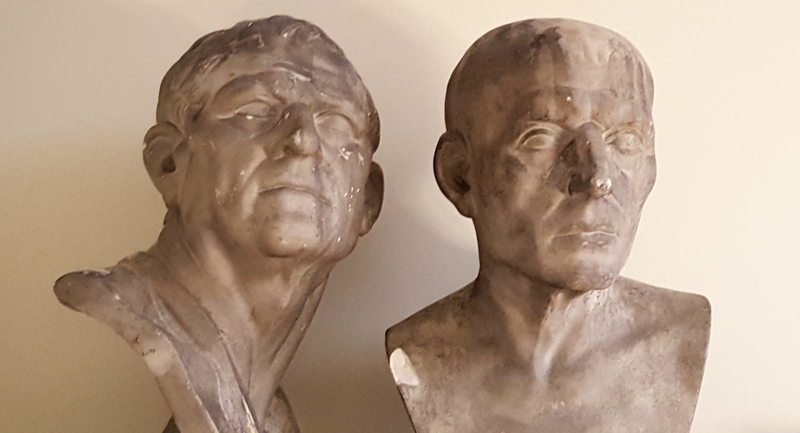 For decades, two stained and forlorn classical plaster casts were hidden in a dark corner of the Art Room (pictured above before restoration). Perched on top of the bookcases, they were barely noticeable among the historic oil paintings and decorative folios. As part of the Curating Curiosities senior seminar class with Tripp Evans, a Wheaton College student was tasked with researching these two mysterious busts. The students scoured the collections for clues about the identity and provenance of the statuary, and an old scrapbook in the Archives revealed that they might be connected to one of the Athenæum’s earliest art donations. Title: Picturesque America; or, The land we live in. A delineation by pen and pencil of the mountains, rivers, lakes, forests, water-falls, shores, cañons, valleys, cities, and other picturesque features of our country. With illustrations on steel and wood by eminent American artists. Edited by William Cullen Bryant. New York: D. Appleton c. 1872-1874. 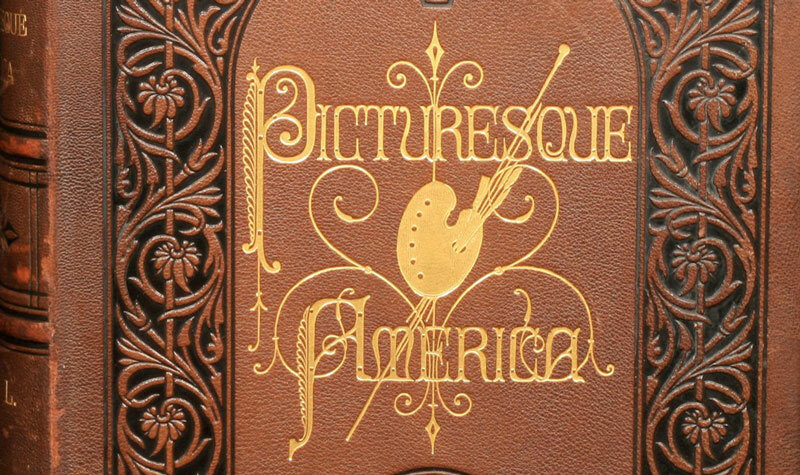 Picturesque America is a two volume set of books that documents American scenery through a series of 65 essays and 950 engravings. Originally published as a subscription, the essays were later bound into 2 volumes edited by William Cullen Bryant (poet, journalist, and editor of the New York Evening Post) and became a bestseller in the late 19th century. The work is said to have positively impacted America’s tourism industry as well as spark the country’s historic preservation movement. Title: Private Libraries of Providence by Horatio Rogers. Providence: Sidney S. Rider, 1878. This portrait of Roger Williams along with many other original prints is included in an extra illustrated copy of Private Libraries of Providence, which once belonged to John Russell Bartlett (1805-1886). Historian, bibliophile and Rhode Island Statesman, Bartlett was actively involved in the affairs of the Athenæum throughout his life. In 1914, the heirs of Bartlett donated over four hundred volumes and pamphlets, many of them were handsomely bound, contained loose manuscripts, historical prints, and several were authored by Bartlett himself. Bartlett’s copy of Private Libraries is exquisitely bound in red morocco leather, with gilt decoration and marbled boards, and is enhanced with the addition of over 20 original prints, carefully selected and arranged by Bartlett prior to binding. 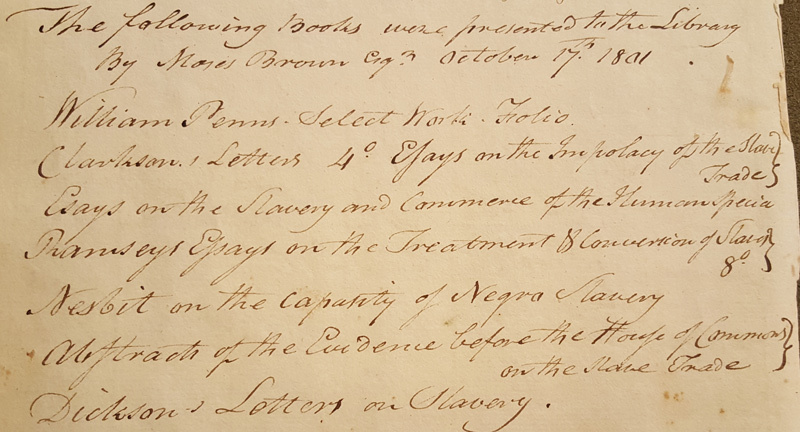 Title: List of books presented by Moses Brown, Esq., October 17, 1801. Register Book (1753-1836), Providence Library Company. 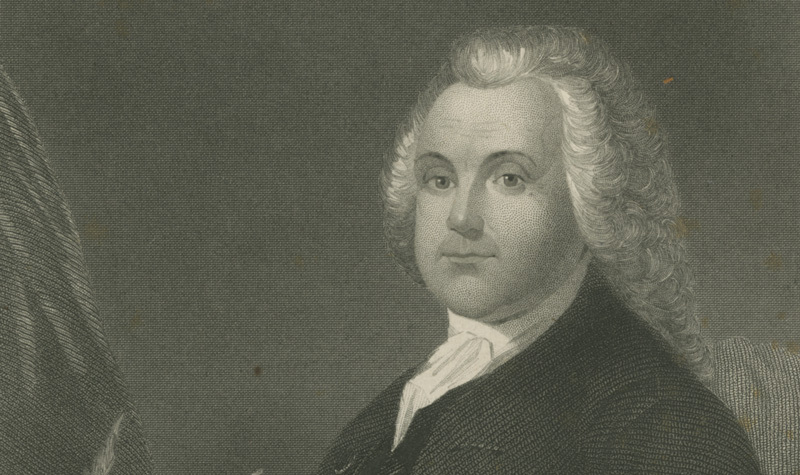 In 1801, Moses Brown (1738-1836) donated seven books on the abolition of slavery to the Providence Library Company, the progenitor of the Athenæum whose books form our Archives Collections. A descendent of a wealthy Rhode Island merchant family involved in the slave trade, Moses was the youngest of the four Brown brothers. Raised as a Baptist, and once a slave owner himself, Moses became a Quaker and a respected supporter of the rights of all men. He was a founding member of the Providence Abolition Society in 1789, and involved in a very public dispute over slavery with his eldest brother John, a powerful defender of slave trading in Rhode Island. 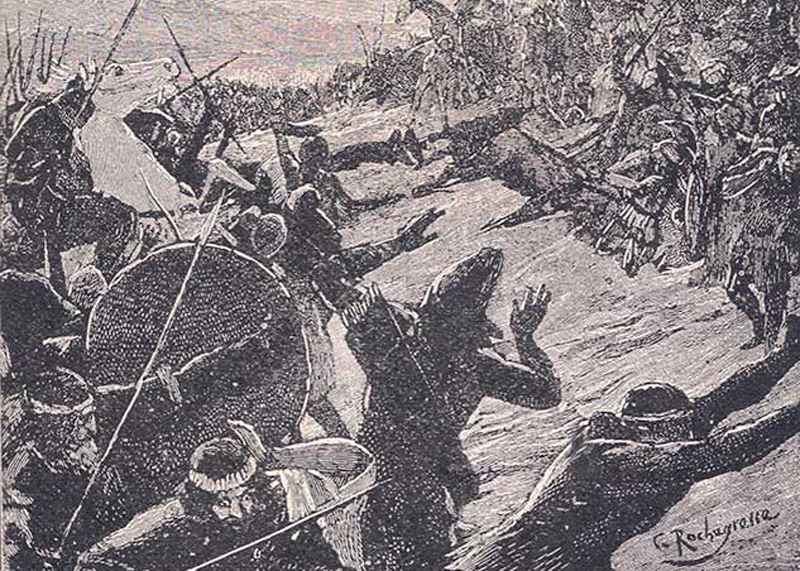 Indigenous Races of the Earth; or, New Chapters of Ethnological Inquiry by J. C. Nott. and Geo. R. Gliddon. Philadelphia, PA: J. B. Lippincott & Co., 1857. As part of the Athenæum Salon series Cultivating Collaboration: Live from the Archive, Emily Steffian (co-owner of the Providence favorite Cable Car Cinema) consulted many books from the Special Collections including children’s literature and several nineteenth-century texts on ethnology from the Natural History Collection. One of the books that caught Emily’s attention was Indigenous Races of the Earth; or, New Chapters of Ethnological Inquiry (1857). 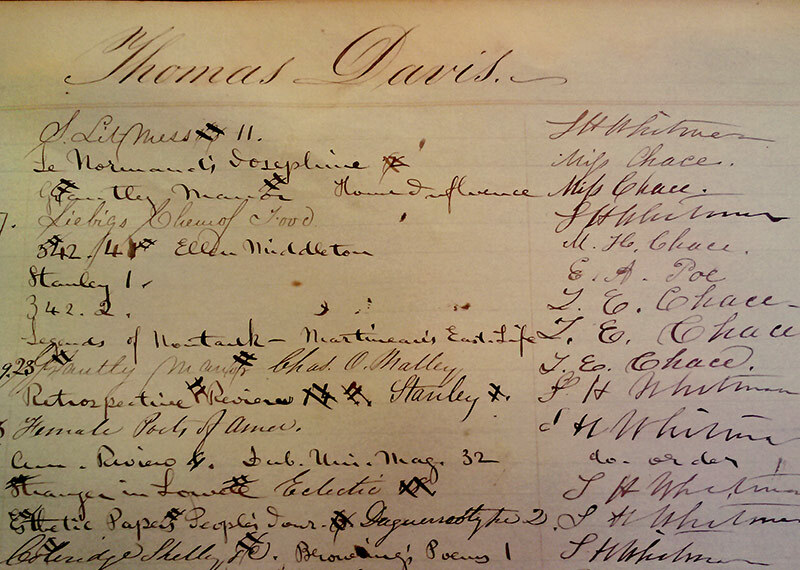 Title: Circulation records of Thomas Davis, December 1848. Charging Book, Providence Athenæum. The charging books of the Providence Athenæum detail the circulation records of members, their families, and friends. During 1848 Edgar Allan Poe was briefly engaged to Providence native Sarah Helen Whitman, and the two courted in the stacks of the Providence Athenæum (click here to learn more about their story). A well-respected poet herself, Whitman was closely affiliated with prominent authors in Boston and New York, and a hostess of literary salons in Providence. While the time Poe spent in Providence as well as his courtship with Whitman were brief, the two explored the literary collections together at the Athenæum, and Poe checked out at least one book. Text: Engraving of Six Bell Ringers. Clavis Campanalogia, or, A Key to the Art of Ringing, by William Jones, John Reeves & Thomas Blakemore. London: Printed by William Browne & John Warren, 1788. 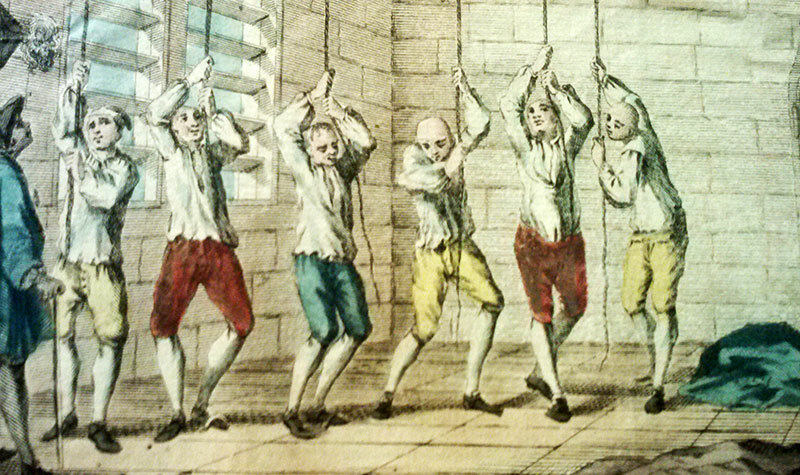 This engraving is pasted into the front cover of the Athenæum’s copy of Clavis Campanalogia and depicts six bell ringers engaged in the popular recreation of change ringing. Originally invented by youths, it was to become a social craze in seventeenth-century England.